A valid UCF ID is required for boarding UCF Shuttles. Parking & Transportation Services provides a shuttle system called the Black & Gold Line. This on-campus only shuttle system has two routes and makes various stops at many convenient campus locations. 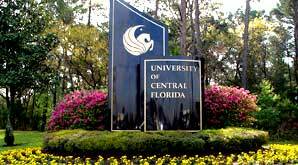 There are 13 regular, fixed shuttle routes between the UCF campus and the following 19 off-campus apartment complexes and Central Florida Research Park. Nine round trips each day are provided to the Rosen College of Hospitality Management during regular class days. For the safety of the passengers on board, shuttles stop only at designated stops – there are no intermediate stops along the way. Visit Parking & Transportation Services for updates and more information.